We believe that you don't so much join a church as you join God's story. We believe that you don't invite Jesus into your life as much as you accept the invitation to join His. So our view of "joining" a church isn't very typical. We warmly welcome all to worship with us any time-- one of the things our church is known for is its gracious hospitality. But becoming a permanent part of our community of faith isn't especially quick or easy. Neither is the Christ life. We'd like to discern along with you if God is calling us to minister together. 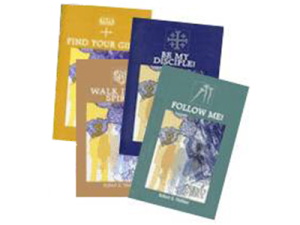 If God leads you here, and you feel led to become a member, we'd like for you to learn more about how the Lord has led us to "do church" in the postmodern world. Then we will ask you to walk through an intentional, deliberate process of learning and discipleship, called Journey to Jesus, that will fully bring you into this amazing community of faith. 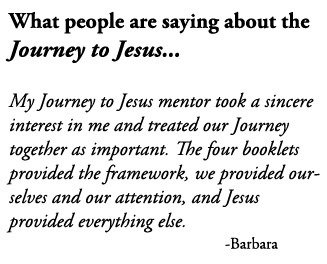 This process is very similar to how early Christians brought people into the life of the worshiping community-- as a matter of fact, the basic design of "Journey to Jesus" is based on a method of evangelism and spiritual instruction in the ancient church. We believe, in part, that this process is the way we will become a truly relational body of believers who together live out the incarnational and re-creational narrative of God's big story. Have questions? Would you like to learn more? Please contact us. We're looking forward to hearing from you.